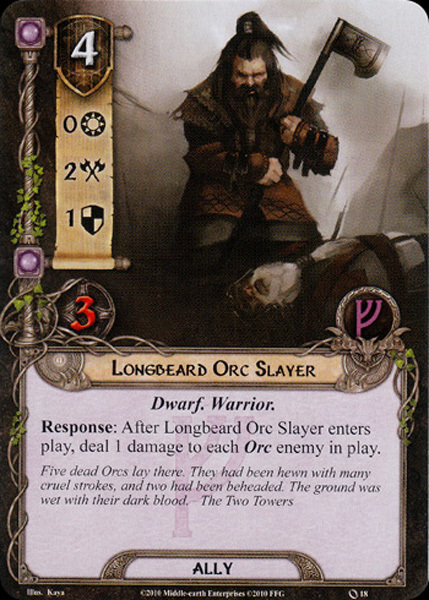 Response: After Longbeard Orc Slayer enters play, deal 1 damage to each Orc enemy in play. Five dead Orcs lay there. They had been hewn with many cruel strokes, and two had been beheaded. The ground was wet with their dark blood.